Get to know Guarulhos Bus Station and book your tickets online! Covered Areas The bus companies that leave from the Bus station are destined to the following States: Minas Gerais, São Paulo and Rio de Janeiro, reaching their respective capital cities. The main sections covered by the vehicles leaving from Guarulhos Bus Station are: Guarulhos x Rio de Janeiro and Guarulhos x Belo Horizonte. About Guarulhos Bus Station Guarulhos Bus Station, which has been active for only four years, is considered one of the most modern and sustainable stations in Brazil. Its infrastructure was planned in order to favor the natural light, thus, lowering the use of electric energy. The ecological trashcans disposed all along the terminal also facilitate the selective waste collection. Even though the station has got only seven thousand square meters of floor space, it occupies over 50 thousand square meters as a whole. There are 20 platforms that daily receive 140 buses transporting around 120 thousand passengers a month. The main Bus companies that operate at the terminal are Útil and Cometa. Since its opening, the terminal has been run by Socicam and by Termini. 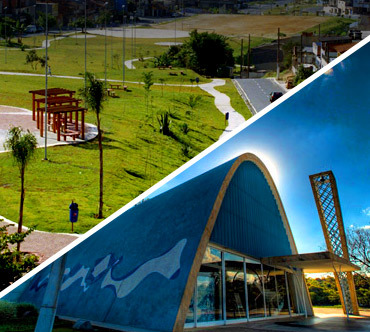 Working hours: 24 hours How to get there The Bus stations is located by the roads Presidente Dutra, Ayrton Senna and Fernão Dias. It is also near Guarulhos International Airport, making it possible to reach the station by either taxi or public transportation. The Bus line 331 stops at the Urban Terminal, which is attached to the Station, and drops you right at CECAP Terminal. From there, you can take the Bus line 331 to the airport and get off at Terminal 2. Main Bus lines to Guarulhos Rio de Janeiro x Guarulhos, Santos x Guarulhos, Belo Horizonte x Guarulhos and São Vicente x Guarulhos. Phone number: +55 (11) 2412-9100. Open 24h. Fees range from R$ 3,00 to R$ 120,00. Phone number: +55 (11) 2279-0092. There are food stands and diners spread around the station. Free of charge, except for showers. Showers will cost you R$ 2,50 each 8min. Employees are trained to help those in need, offering wheelchairs and stretchers as well. Restrooms and telephones are adapted to those with special needs. There is a R$ 12,00 fee for medium volumes and R$ 24,00 for large ones. Open 24h. Phone number: +55 (11) 2403-5861. 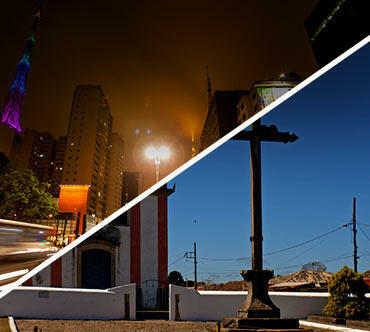 At São Paulo’s Metrolopitan Region, Guarulhos has its economy based on the various industries that went there from 1915. 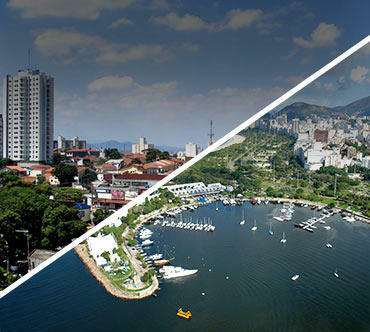 The city has an international airport that is Brazil’s biggest and busiest airport, and the entrance to several foreigners to the country.